I keep hearing about reading “challenges”. Readers challenge themselves to read a certain number of books or pages in a year, or they try to read certain types of books that are outside their comfort zones. These challenges don’t appeal to me at all. I know a lot of avid readers find them fun and rewarding, but the message I get from the challenges is that reading is a chore and people need all the encouragement they can get. This message seems to start in grade school, when children are forced to read for a prescribed length of time and to read books that are of no interest to them. The schools in our area think it’s important that children read a variety of genres, although I’ve noticed the genres assigned are mostly fiction, which doesn’t appeal to many boys. The unit we booksellers dread the most is the mystery unit. It’s a mystery to me why teachers think it’s important for third and fourth graders to read children’s mysteries! One of the schools had a requirement that the book be at least 150 pages long — and let me assure you that the mystery-hating children I was trying to help wanted to make sure that they didn’t have to read one extra page. There is a very limited supply of decent children’s mysteries that are 150 pages long — and the teachers were quite rigid in their definition of “mystery”, as I learned when one child returned Babe & Me: A Baseball Card Adventure by Dan Gutman. The child was apparently told that he was supposed to read a mystery, not an adventure. Anyway, I’m an adult and I can read what I want — which will never include science fiction. I’m not going to worry about reading “diversely”. What I am going to do is clean out my overcrowded bookshelves. I have many, many books (I’m not going to reveal how many) that have been languishing in my house for over a year. I came up with a pile of 12 books, all with publication dates of 2013 or earlier, that I would love to read but keep putting aside in favor of the “latest and greatest”. I also filled a couple of bags with books that I don’t think I’ll ever read, and I will be donating those to Open Books in Chicago. I’m not going to name any names, but let me just say that graphic novels are not my thing. They give me a headache. And I’m not a huge mystery fan either; I didn’t even like Nancy Drew as a child. 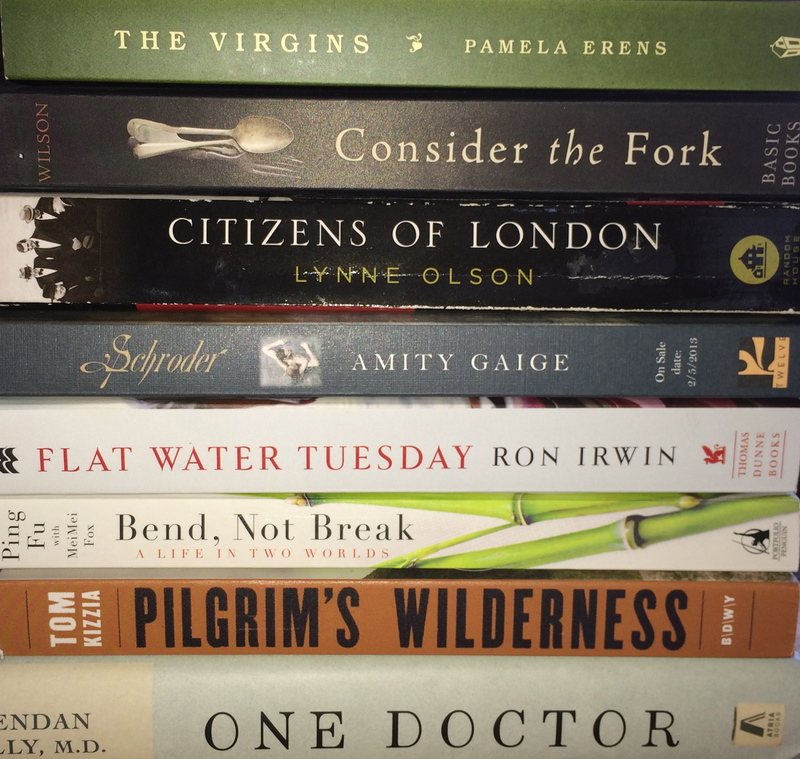 Here’s my list, in alphabetical order — my challenge is to read all of them this year. Anything on the list that doesn’t get read in 2015 gets donated. It’s a harsh world. My mother passed along this book about a Chinese immigrant who became a successful entrepreneur and it looks fascinating. I picked this up at a conference and forgot I had it until I started organizing my bookshelves last week. A friend lent this to me and I’m embarrassed I haven’t read it. I recently read a boarding school novel that got it all wrong, so I’ve been nervous about reading another one. I actually paid money for this book, so I really must read it. I’m fascinated by Scientology and religious cults. It was a National Book Award finalist in 2013 — and so was Book of Ages: The Life and Opinions of Jane Franklin, which I don’t think I’m ever going to read, but I’m stubbornly keeping. I know it’s supposed to be a modern classic, but I’ve never read it. It won the Hemingway Foundation/PEN Award in 1980, and was also shortlisted for the Pulitzer that year. My mother sent me this book also, knowing how much we both enjoy reading about medicine. A true story about a sociopath in the wilderness — why haven’t I read it yet? The publisher describes it as “Into the Wild meets Helter Skelter“. A well-reviewed novel about a divorced father who abducts his young daughter, loosely based on an actual case — possibly good book club material. Another book I got at a conference — sounds intriguing! I loved The Sense of an Ending so much that I bought Barnes’s essay collection — and it’s been gathering dust ever since. Somebody (who?) 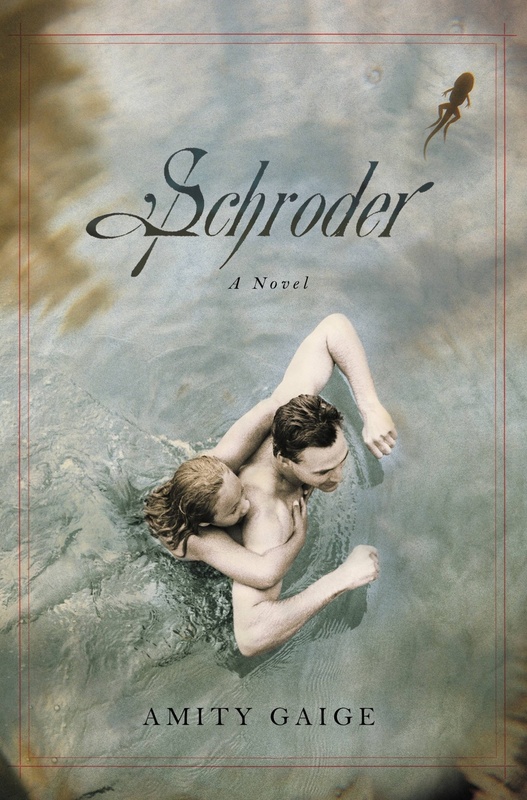 recommended this to me because of my love of boarding school novels. Which one should I read first? Please advise! This post is part of a weekly blogging event, Top 10 Tuesday. Haha! The Virgins has been sitting on my bedside table for over a year…perhaps I need to read it also. Highly recommended by Rebecca Makkai while a guest seller at the book store. Yes, I actually did mention it earlier, as someone else pointed out to me — it was recommended by Rebecca Makkai (author of The Hundred-Year House), who lives in Lake Forest and was a guest bookseller at the store. Holly, my memory is so bad — yes, it was Rebecca who recommended it, as several other people reminded me . . . Thanks — it certainly is considered a masterpiece and I’m embarrassed I’ve never read it. The reason we have it in the house is that my daughter read it in high school English many years ago. 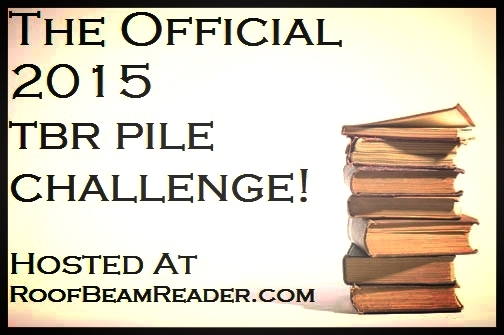 welcome to the TBR challenge. By the way, another reason why I participate in several challenges, is also a fun way of discovering new titles, and interact with others. I was not impressed by Housekeeping, nor Gilead for that matter. I normally love nonfiction, especially memoirs, but I have to tell you that Consider the Fork was a dud for me. It’s going right into my donation bag, unfinished. Oh well, I gave it a try! ah, thanks for sharing, trusting your verdict, one less on my TBR! I’d give them a year, just the way all those professional organizers say to do with your clothes . . .
I’m also reading only from books I already have in the house this month. Some are rereads — I buy books for that purpose but then never get around to it. I don’t know if I could stick to keeping unread books for only one year, but it sounds like a very healthy rule. Oh, I’m sure I will break the rule! I too intend on rereading, but rarely get around to it. We will see if I can actually get rid of these unread books. So far, all I have done is gather some boxes and shopping bags to pack them in. Great list! None of these were on my list… in fact, I hadn’t heard of many of these before today. But I’m definitely intrigued, and just added Pilgrim’s Wilderness to my ever-growing tbr list! Here’s my TTT. Happy reading! 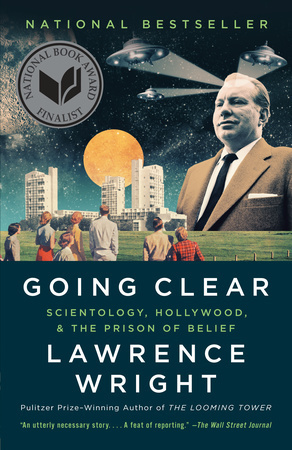 Going Clear: Scientology, Hollywood, and the Prison of Belief sounds like a fascinating read. I’m participating in the TBR challenge too, and reading a book about a religious cult as well (Not Without My Sister). I hear what you’re saying about reading challenges. I participate in a few, but all of them I can tailor to stretch myself just enough, but not read anything that I’m truly not interested in reading. Good luck! Oh, I read Not Without My Sister — very interesting. I’ll be interested in your take on Going Clear, if you end up reading it. Thanks for stopping by! I’m with Sydney. The Going Clear book sounds fascinating to me too. And I like science fiction and mysteries – so there 😛 ;). I did enjoy Housekeeping, but I mostly remember the movie with Christine Lahti. I have another book by this author: Lila. Plan to read it soon. I find challenges that widen my reading horizons really rewarding, because there is so much great stuff out there that I wouldn’t discover if I just read within the same limits forever. There’s so much diversity within every genre and every type of book, the real challenge is finding the specific books that work for you. Thanks for visiting! And I have already gone back on my word. I’m actually reading a science fiction book now (Station Eleven) that I’m really enjoying. So you are right, there is diversity within every genre! That sounds like a great challenge! Another one I have is to admit defeat with certain books — if they’ve been on my shelves for a long time and I keep passing them by, maybe it’s time for them to go to another home. Pilgrim’s Wilderness looks good to me. I don’t care for challenges either. My reading moods change too frequently. Great post! I haven’t been doing too well on my challenge — but I think Pilgrim’s Wilderness is the next book I will read. If you end up reading it, I’d love to know what you think! Housekeeping is a good one. Though it’s a long time ago since I read it. What I recall is that it encompasses loneliness and sadness. It’s a quiet killer. Enjoy.